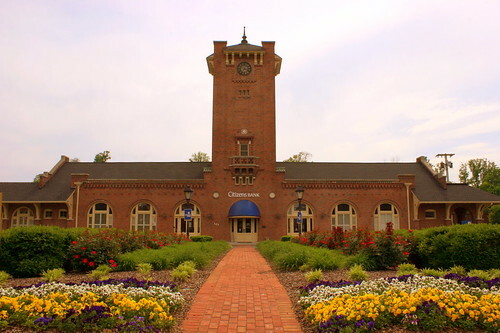 The Carolina, Clinchfield and Ohio Passenger train station along with the adjacent freight depot were built in 1916. 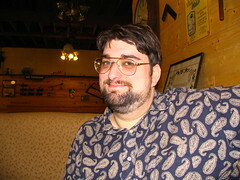 The building's design was a product of new York architect Clinton McKenzie. Access to the railroad instantly gave Kingsport the potential to become an industrial community. Even though passenger service stopped in 1954, the area remained busy thoroughfare. Today, the building is used as a bank and is located on the National register of Historic Places. Looking at Kingsport, I find it interesting how a planned community came to be, and what's changed over neary 100 years. The city was laid out before contruction of anything started. Main street connected this depot on one end and the 4 churches of Church Circle on the other end of the storefront lined street. The city hasn't aged well, but either end of the main street has retianed it's significant architecture. Seen at Murfree Springs Wetlands in Murfreesboro, TN. 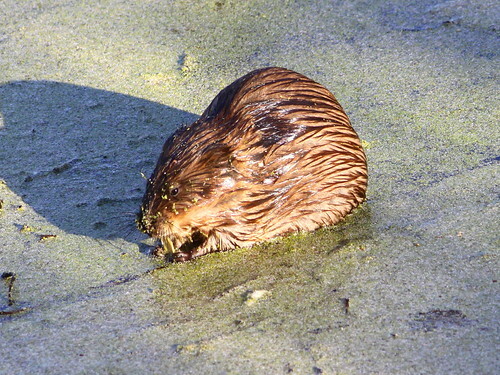 I saw the creature swim for a bit then perch on a small log near the water level. While standing on the log, it ate the stalk of a plant. 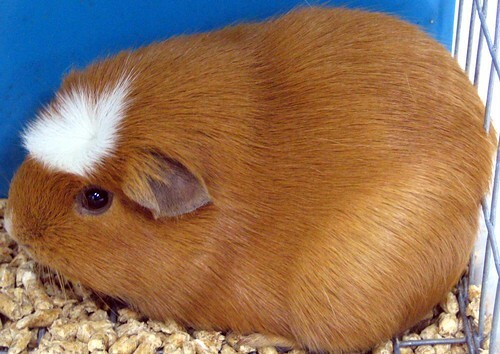 I like animals that can use front paws to hold food while eating. Earlier this month was a news story that made me sad. If you've never heard of the Minister's Tree House, it was started by a Cookeville resident who wanted to give glory to God with a place that was fun and safe for kids. His tree house grew and grew and grew. Apparently, it grew, not only in size, but in popularity, to the point that the local officials had to verify whether it was really a safe place for kids. It has been deemed a fire hazard, and while to my knowledge nobody ever got hurt here, some of my friends who had been here wondered just how safe it really was, especially if you made it to the top. Sadly, I never had a chance to see it for myself, or I'd be posting that picture here, so you can get an idea from the article. This Rock City barn is located at the Ellis Homestead at Sequoyah Caverns. 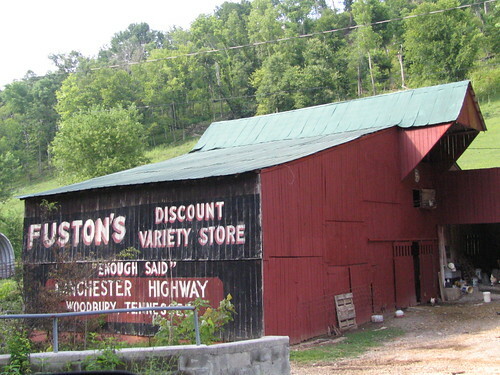 Clark Byers, who was the famous Rock City barn painter, later in life was hired to commercially operate the caverns. He painted ads for both tourist destinations on this barn. I was last here in 2006. Since then, this barn has suffered some wind damage. I don't know this for certain, but I would imagine the storms that devestated parts of Alabama on April 27, 2011 did this damage. That storm was best known for the large Tornado that ripped through Tuscaloosa. It progressed later on Sand Mountain (past the house of one of my wife's relatives, about five miles from here) and kept going to Trenton, GA. You can easily see where parts of the roof were ripped off and deposited in the field. After being defeated in a re-election effort for U.S. Congress in 1834, Davy Crockett decided to move out to West Tennessee. About 10 miles away from where his mom and sister were living, he built a farm in Gibson County, which would eventually be his last residence. Soon thereafter, he went to fight in the Texas battle for independence and died at the Alamo in 1836. About halfway between the location of his farm, and where his mom and sister lived is the town of Rutherford, TN. 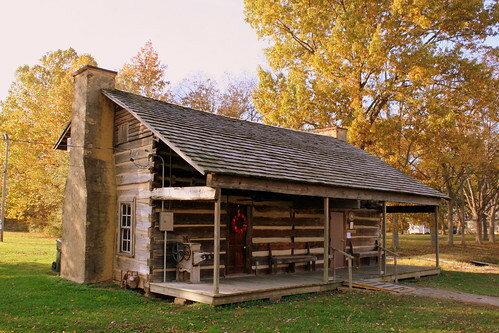 The townspeople took the remaining logs from his last house which had fallen apart, and assembled them to make "Davy Crockett's Last house and Museum." The home is located along old US45W on the north side of town. 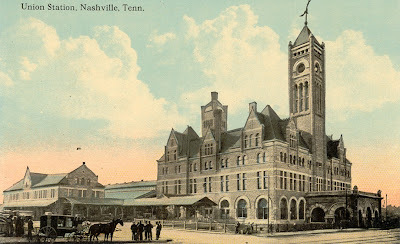 This Post card of one of Nashville's most popular landmarks dates back to 1902. 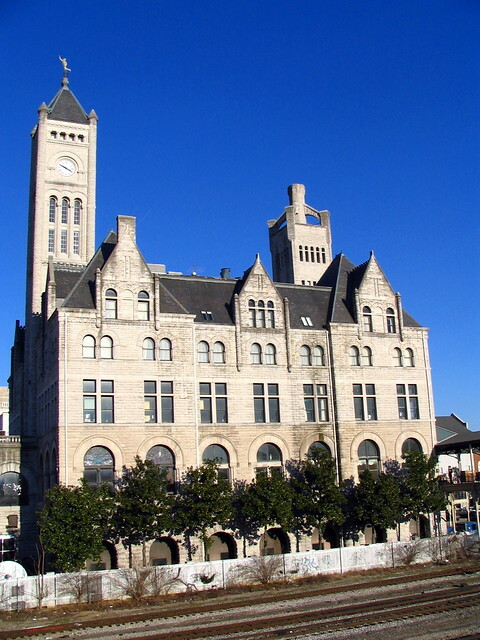 The depot was built in 1900, just a couple of years before the post card was made, in a castle-like late-Victorian Romanesque Revial style. The clock on the tower was one of the earliest digital clocks, but is now a traditional clock. Atop the tower used to be a 3D statue of the Roman god Mercury, but was kncoked off in a windstorm in the 50s. In the mid-90s, a flat Mercury was put in its place. That one was knocked off in the 98 tornado, but was replaced again. 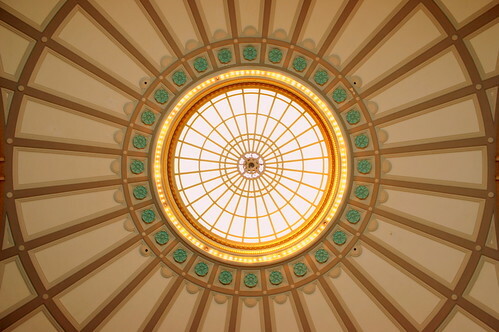 Most views of Union station (like the one above) tend to look from the front across the street (broadway). This is a fuller view of the building from the side, taken from the Broadway viaduct. This photo was taken near noon on a sunny day. Tennessee & Pacific Railroad was chartered in 1866 with the intent of connecting Knoxville to Memphis so that coal from the East Tennessee mountains could be conveyed out to the western U.S. In 1869, consturction began on the first (and as it turned out, the only) segment of the rail line, a 29 mile stretch from Lebanon to Nashville. It began operation in 1871, so this passenegr station was built sometime during those two years. The depot was built on land owned by John Bell Tarver. His daughter Nancy Tarver Hagan was employed to be the depot's operator. To make money, she would sell poultry, livestock, eggs, flowers, etc. from the depot. According to family stories, when she would hear the train whistle, she'd quickly change into her "good clothes" and run down the hill from her house just in time to meet the approaching train. By 1877, Tennessee & Pacific ran out of money and the line was purchased by NCStL. The short line operated under the T&P name until 1988 when it was renamed the NCStL Lebanon Branch. The last run was made on July 13, 1935 when passenger service stopped. 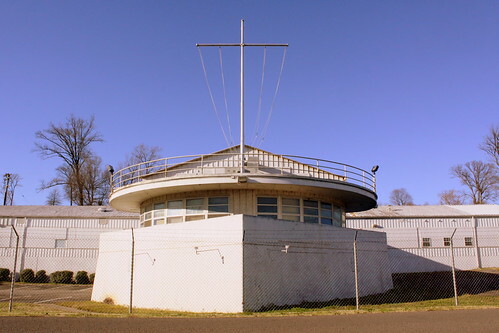 The depot sat vacant at the same spot for nearly seven decades when it was put up for auction. 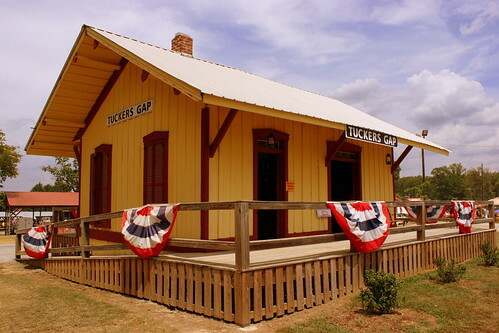 In August, 2005 the depot was reloacated to Fiddler's Grove, the collection of historic local buildings on the Wilson County Fairgrounds. One year later after extensive renovations it was dedicated. Today, fairgoers can walk inside and see train memorabilia as well as a model railroad display. 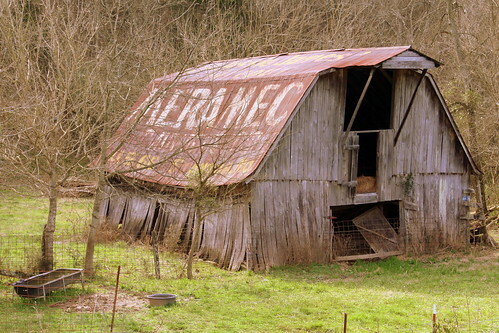 This barn used to be seen by many mototists passing between Nashville and Chattanooga. If you were heading south, you would see this barn advertise first Rock City and now Ruby Falls. Travelling north, you see the sign say "See Jesse James Hideout MERAMEC CAVERNS U.S.66 STANTON, Mo." Meramec Caverns is indeed along the Mother Road, the Old Route 66, so now think how long ago this was probably painted. The newer barns for Meramec Cavers tell you it's located off I-44. 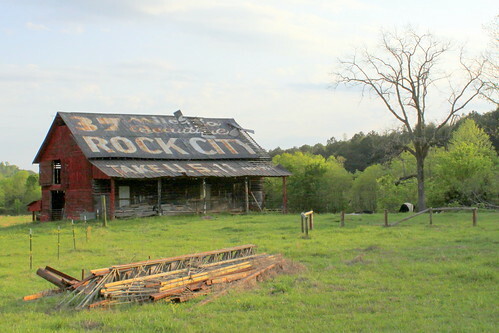 These ads are plentiful in Missouri, but most of the remaining painted touristy barns in the south are for Rock City. I am not aware of any other painted barns for this attraction that are so far away. This is what's left of the Lawrence County Courthouse clock tower. 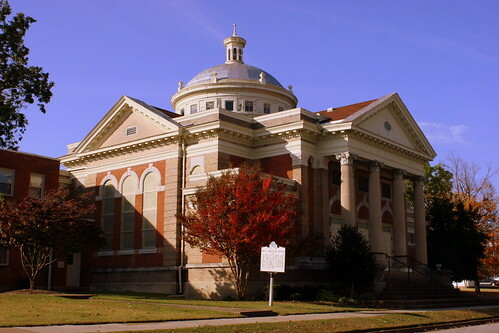 This courthouse was built in 1905 and was located in the Lawrenceburg town square. When needed repairs were beyond feasibility to replace, a new courthouse was built in 1974. To see what this courthouse used to look like, there is a mural downtown with a picture of it. Also, except for the color, it looks virtually identical to the clock tower for the 1905 Cumberland County Courthouse in Crossville. The numbers are made out of wood, which I would have never guessed. Also, the light fixture on the left pointing down towards the clock is still there. For the longest time, I never realized that Nashville had a town square, and I bet most people don't know that today. In the center of the square was the County Courthouse seen here. Today's county courthouse is also inside the square, or at least a side of it, with most of the square still being a small urban park. The county's fourth courthouse seen here dates back to 1857. 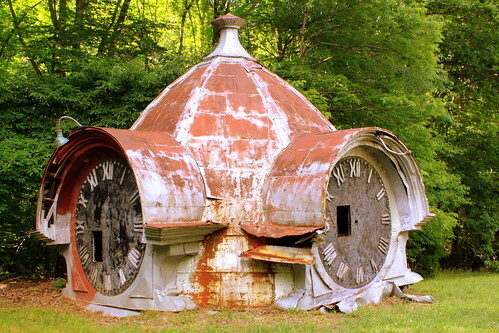 It was designed by Francis Strickland, son of William Strickland who designed the state capitol. 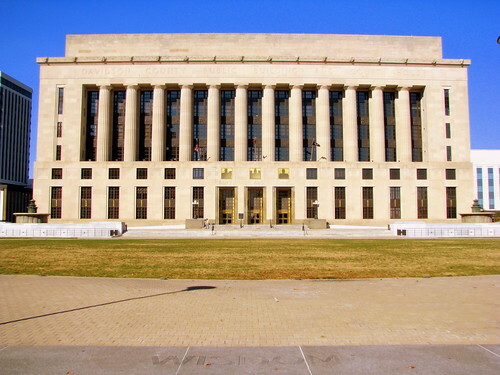 It was built in a Greek Revival style and originally had a very similar design to the capitol. With a need to expand, a fourth story was added in 1910, which in the opinion of many people ruined the appearance. 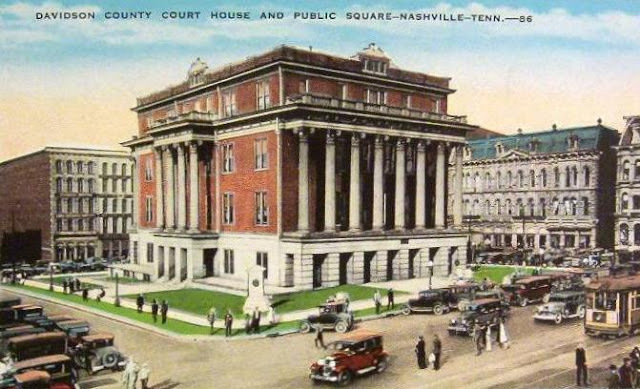 This courthouse burned in 1935, so this post card dates to sometime between 1910 and 1935. 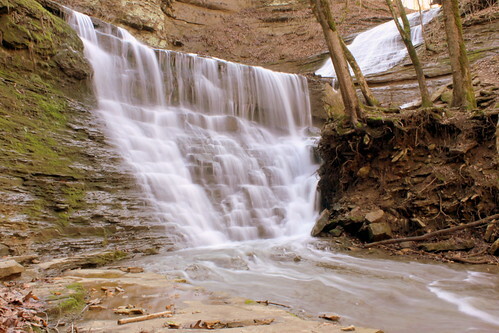 Located just southwest of Nashville on Scenic Highway 100 near the northern end of the Natchez Trace Parkway, this is now a "Must Visit" place, as it has been for decades. Some might say it's Nashville's premiere meat-and-three, while I've heard other's say they don't understand what all the hype is about. So what's the best thing to get here? it may not even be on the menu. Let me explain... If you ever find a brochure for here, it'll likely have quotes from The Today Show weatherman Willard Scott or Martha Stewart saying they serve the best biscuits in the country. I've been to eat here twice. The first time must have been an off night as the biscuits were not-special-at-all disappointing and I had fries that may have come from the microwave. However, on my second visit, they lived up to their lofty expectations. The biscuits came with three different fruit spreads, which made for a better desert than I could have gotten at other places. Carol Fay Ellison is the Biscuit Lady and is a celebrity in some circles. I don't know how many decades it's been since this was a motel, apparently some time in the mid 80's. The motel was named after the Loveless family which started the Motel. 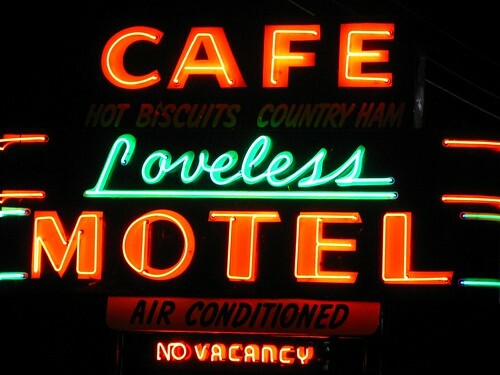 (If you don't know anything about the place, Loveless Motel makes for an amusing name.) The Lovelesses sold it to the Maynesses who sold it to the McCabes and it's now owned by TomKats caterers. The old motel rooms have been converted to shops. One of the previous owners was in the news recently for a sad reason. I didn't catch the full reason, but apparently the former owner was killed in a car crash at Warner Park. The architectural style is a blend of Italianate and Second Empire style. 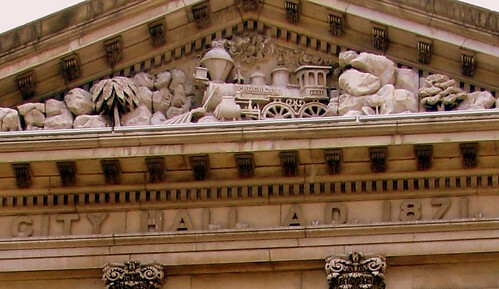 The pediment over the main entrance features a relief of the Louisville city seal plus a steam train with the word "Progress" inscribed on it. Atop many of the windows are engravings of livestock heads. The building is three stories tall plus a raised basement. Today, it's primary function is housing the metro council offices and chambers. It is on the National Register of Historic Places. One of the most interesting areas is seen here with the pediment as it depicts a steam train (complete with concrete smoke billowing out of it). Written on the train is the word PROGRESS and again the date on 1871 on the cab. Recently, I got a message from an unexpected place recently that shed some light on the meaning of this logo, the Antique Doorknob Collectors of America! Dating back to 1861, the official seal of Louisville included an image of a steam train with the word Progress. So, when this building was built a decade later, the doorknob included a design with elements similar to the pediment here. Variants of their logo remained in use until 1910, and about that time, the doorknob was replaced. From there, the doorknob made it's way to the Louisville & Nashville Railroad office building a few blocks away. Fast forward another century when many items in the L&N building went up for sale, and the doorknob collectors got a real conversation piece! 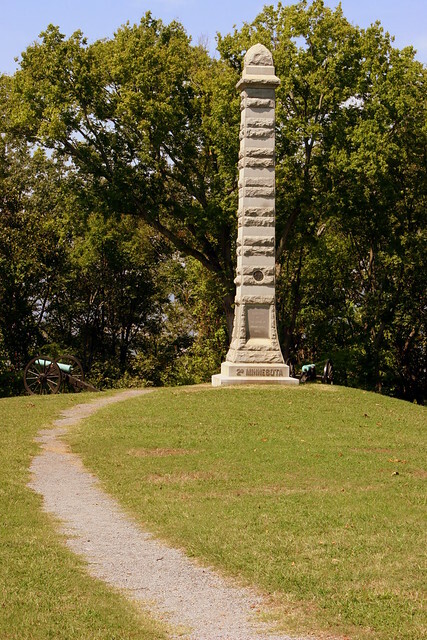 Significant fighting occured along Missionary Ridge in Chattanooga during the Civil War. 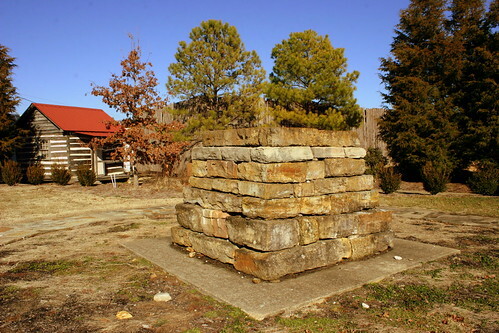 If you drive atop the ridge, along Crest Rd., there are monuments all along either side of the street, but there are only parking spaces for a couple of them. Closer to the northern side of the ridge is Delong Reservation. Eli Sims was one of the earliest settlers in White County and died on this day 150 years ago. Eli Sims l(Feb. 1, 1776 - Sept. 14, 1862) was a White County farmer, educator, road commissioner, and county trustee. He established the first cotton gin in the county. He served also as the chairman of the White County Quartely Court. He was born in Larne, Ireland and settled in White County in 1810. 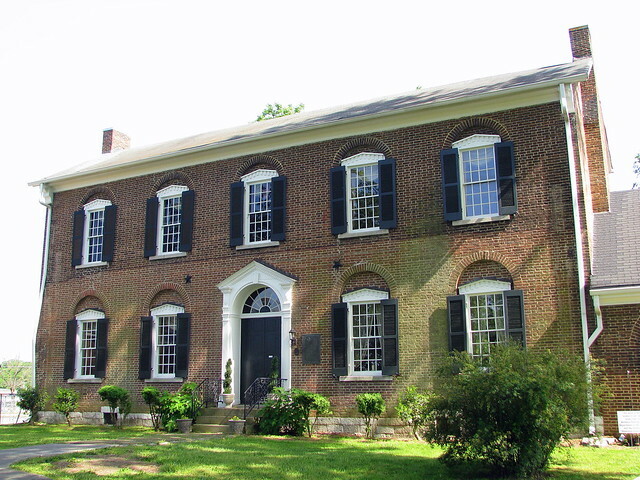 This house was built in 1810 and is believed to be the first brick house in the county. He married Rachel Townsend in 1807, and they raised 12 children. Sims is buried in the old Zion Cemetery. 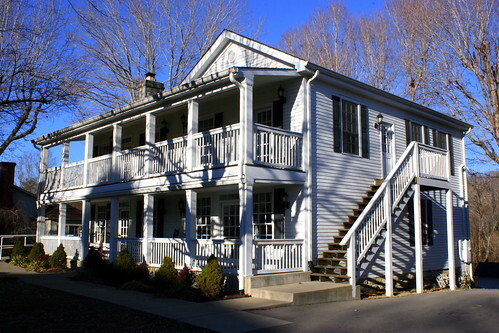 Located on Charlotte's town square, this house of the local merchant was built ca. 1830. This house was built that year, probably because a devistating tornado destroyed almost all buildings in town earlier that year. 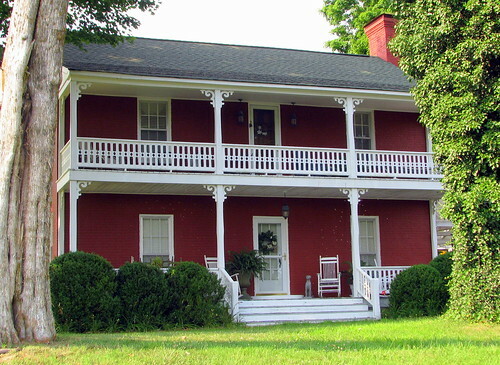 The house was listed on the National Register of Historic Places as part of the Charlotte Courthouse Square Historic District. 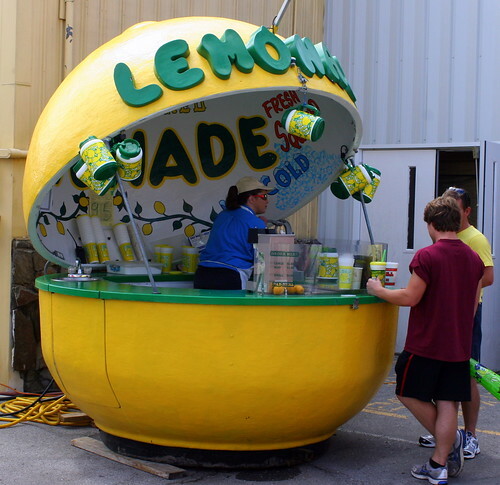 Fairs always have food that you usually can't find anywhere else. (which is probably a good thing. 1 Funnel cake a year should probably be my limit!) 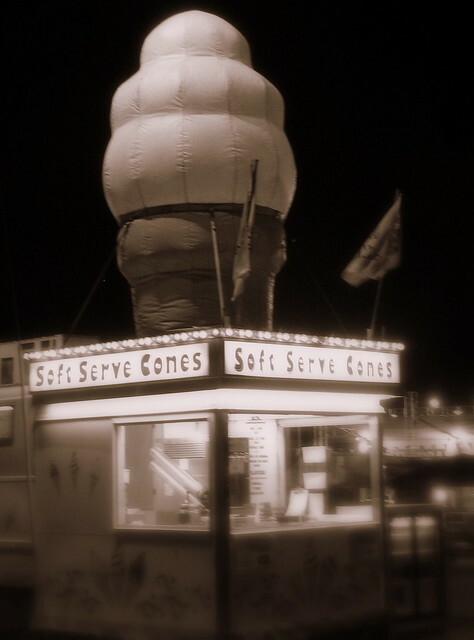 While the deep fried GooGoo Cluster is the official snack of the state fair, Soft Serve Ice Cream Cones and Lemonade cups are popular wherever you go. Dedicated to the Law Enforcement officers, firefighters, Emergency workers and military personnel who keep our community safe. This memorial is located in front of the Bradley county courthouse in the center of the town square in Cleveland, TN. The congregation was organized in 1848 about 4 miles away. The city was formed in 1854 and this lot was given to them in 1856. Union troops destroyed their church in the Civil War and a cholera epidemic killed many members in 1873. This building is their third here and it was built in 1912. 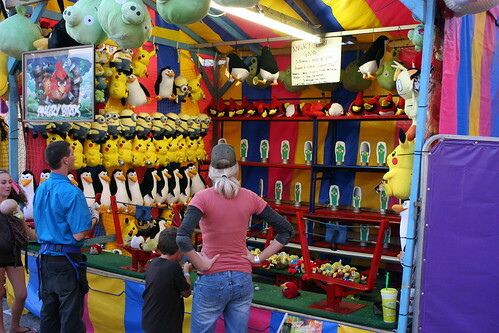 As you walk around the midway, you'll see lots of people carrying oversized stuffed animals. Personally, I'm not very good at these games of skill, like shooting hoops, or the ring toss, or picking up the glass bottle with a fishing pole. Someone has to be good at it, or nobody would have those prizes on their shoulder. 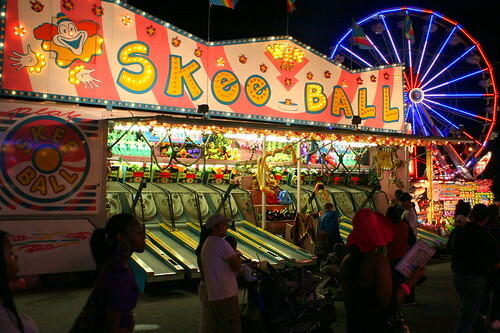 Skee Ball takes me back to my childhood, back when I was young enough to enjoy going to Chuck E. Cheese or Showbiz Pizza. Normally, real life games get converted into something you can play on your computer or smart phone. Here's a game for your phone that got converted to something you can play in real life. You get an angry bird bean bag and can slingshot it at the pigs. 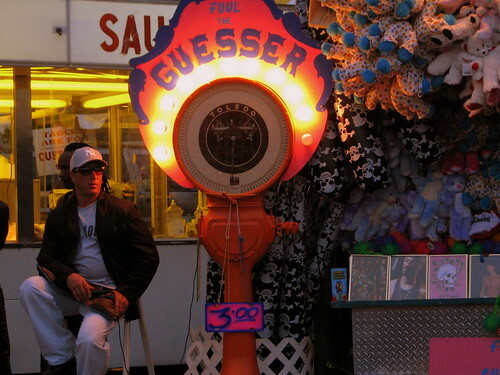 For three dollars, this guy will guess your weight or can guess your age. (I'm not sure which one embarrasses me more.) If he's not within the margin of error, you win a prize! Who want's an 8x10 of Snoop Dog? 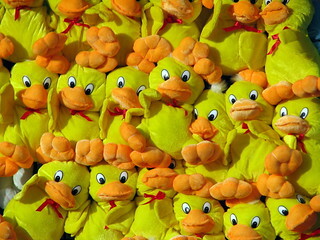 I have enough plush ducks around the house. 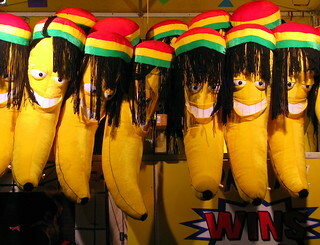 I want the reggae banana! At the time of President Zachary Taylor's death 1850, he was temporarily buried in Washington DC. 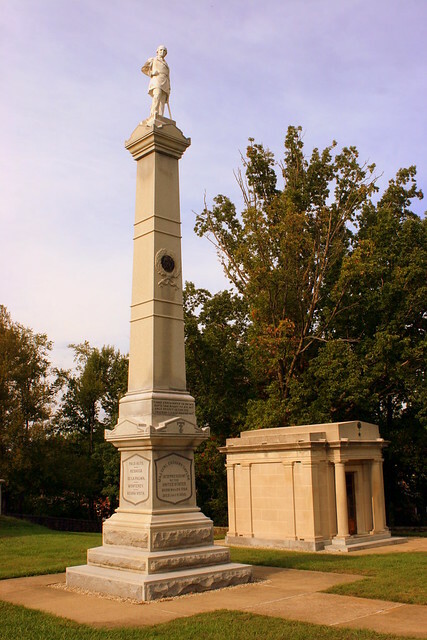 A few months later, his body was moved here to the family cemetery near Louisville which was then part of the grounds for their home, Springfield. In 1883, the commonwealth of Kentucky placed a fifty foot monument near Taylor's grave, which is topped by a life-sized statue of him. In the 1920's, the cemetery was enlarged, becoming a National Cemetery, and the presidents remains were moved to a mausoleum, which has a limestone exterior with a granite base with a marble interior. The entire cemetery is on the National Register of Historic Places. In 1991, this place made the news as the body was exhumed to see if he had been poisoned. 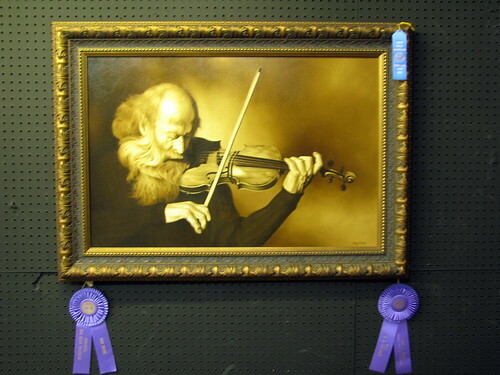 Here is the Best in Show painting from 2008. 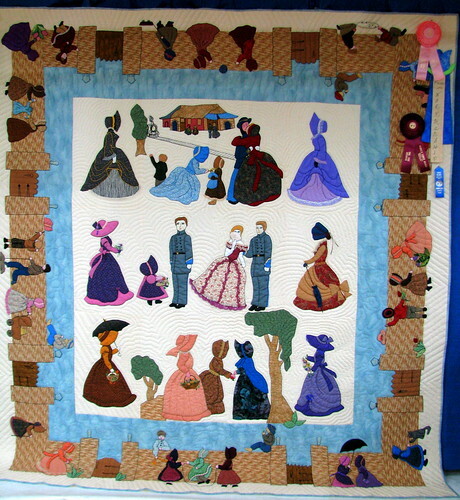 The People's Choice Award winning quilt from 2010. There are several categories just for youth. 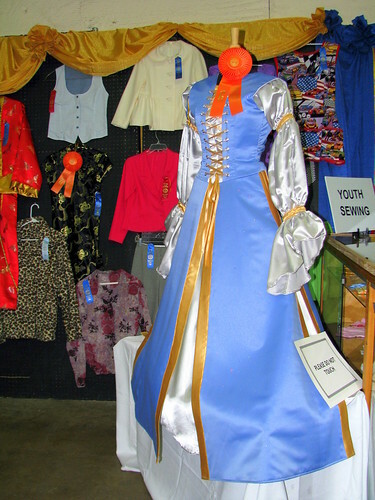 Here is one of the winning youth sewing: Dressmaking entries. 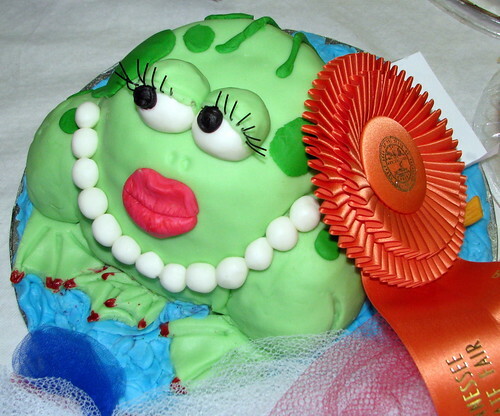 This frog was named the Best Overall Youth in the baked goods section of the Creative Arts Building at the 2009 Tennessee State Fair. 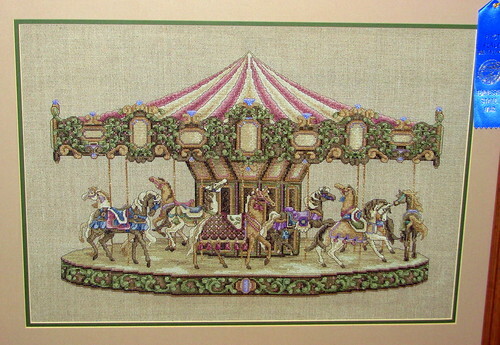 This carousel was a blue ribbon winner for stitching at the 2009 fair. 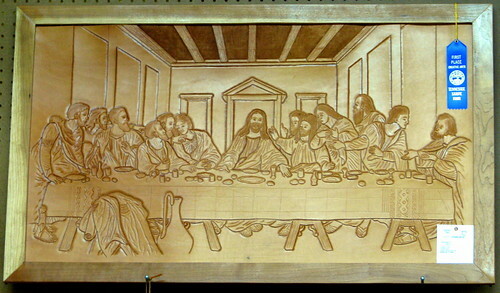 In a medium I am not as familiar with comes this blue ribbon winning embossed copper representation of Leonardo Da Vinci's The Last Supper. Finally, another of the contests is Leathercraft. 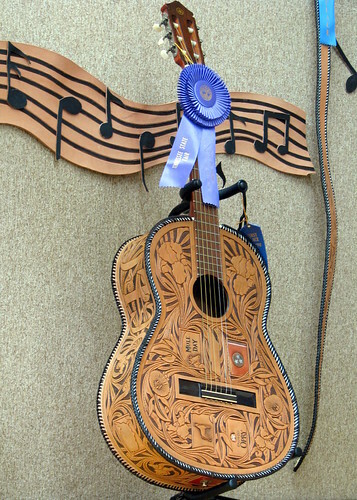 The Blue Ribbon winner was a guitar made out of leather. If you look closely, there are 4 midstate logos on the guitar. The first you'll notice is the Tennessee Flag. To its left is a Columbia Mule Day logo. Below that is a Tennessee Walking Horse. To the right of that one is the Grand Ole Opry. On the year this was taken, there were two judges looking at the cavies without as much fanfare as some of the other animals shows. 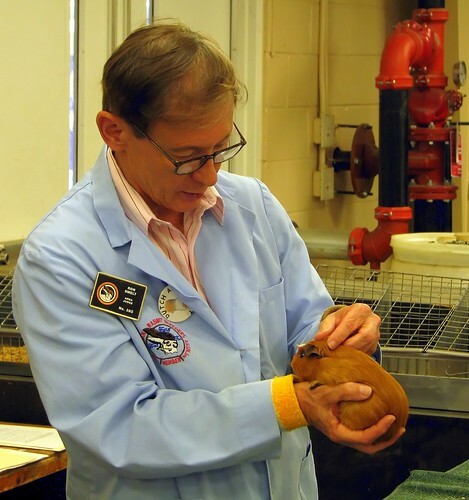 I can't look at any animal an tell what makes one a better specimen that another, but these are the cavy experts. 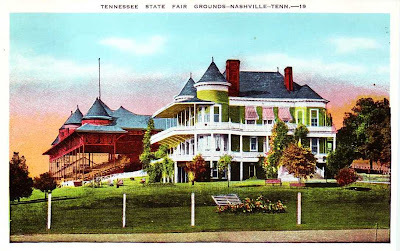 The Tennessee State Fair opens this Friday, and since that's only a short time away, I thought I'd include a vintage post card to kick off a week of posts about the fair. The state fair has now been at the same place for over 100 years. This post card represents what part of the grounds looked like back then. The grandstand for the race track which is seen in the background isn't the same grandstand as today, but I've heard the track here is the oldest in the country! Even though the fair dates back to 1906, the first auto race along the track was in 1906, and it was originally built for harness races. In the foreground is the three story women's building. In 1965, the building caught fire due to faulty wiring and the building burned to the ground. September in Paris sounds romantic - unless your talking about Paris, TN, in which case your romantic mileage may vary. A vacant building on the town square lists many of the upcoming events, of which there were plenty. 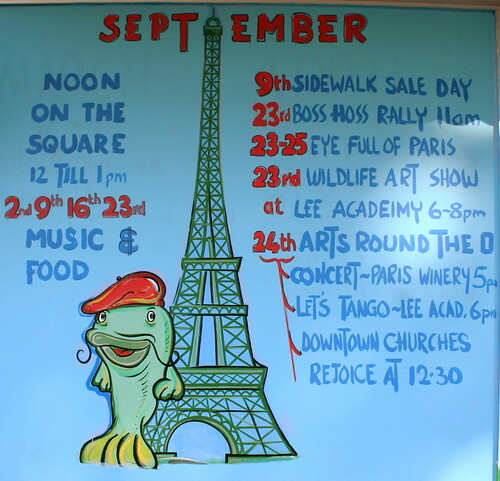 Other windows gave the events for other months, but only this one has an Eiffel Tower, of which the TN city has a replica, along with a beret-wearing catfish. Paris's other claim to fame if the World's Biggest Fish Fry. These events are for 2011, so don't expect any of these dates to work this year. 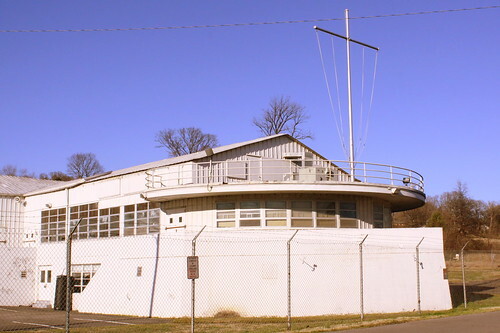 This building was designed by Nashville architect Edwin A. Keeble as a two story, steel clad modified Butler hut armory building with a Nautical Moderne central projection which closely resembles the prow of a ship, complete with a large yardarm (flagpole) extending from a curved deck above the second floor. The NFL preseason is heating up! I'm not sure how many Tennessee Titans fans there are that drive past this sign, but there was at least one on the day I went by a couple of months ago. The sign is on US49 and Mt. 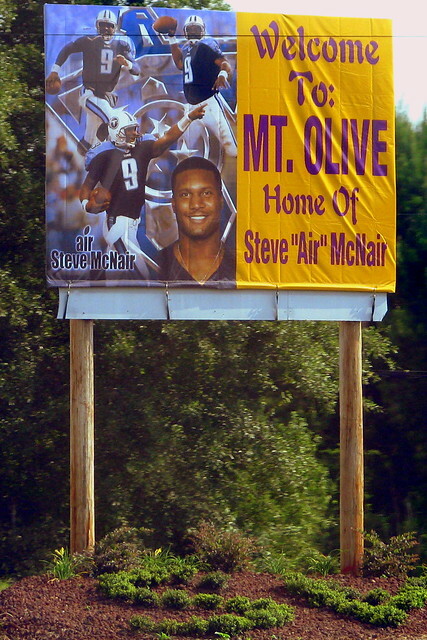 Olive is a city in Covington County, MS between Jackson and Hattiesburg.